There will be a Frocking Ceremony today at the Navy Operational Support Center (NOSC) in Springfield. There are 13 sailors that are selected for advancement this year, 98% of sailors across the United States who tested to advance passed right here in Springfield. 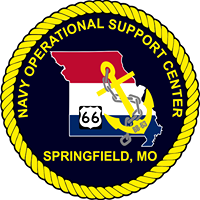 Congratulations to the following NOSC Springfield Sailors selected for advancement!